Can You Eat Raw Honeycomb? Yes, and Yes! This question is often asked of me during beekeeping demonstrations. Can you eat honeycomb- surely not? Yes, it is true that honeycomb is edible and tastes quite good – if a little waxy! People have been eating honeycomb for thousands of years with no ill effects. 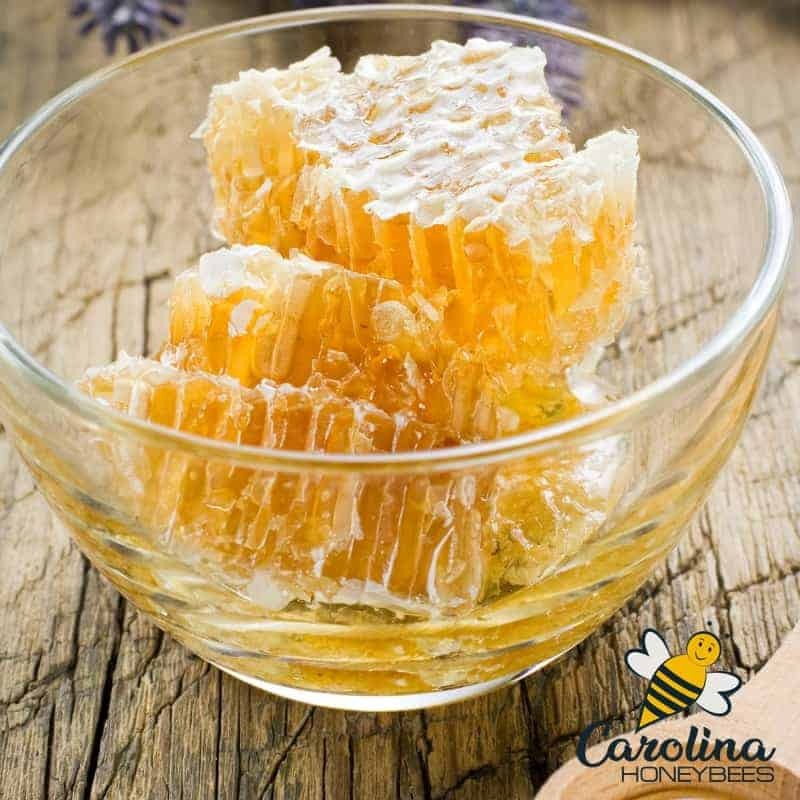 While the beeswax itself has no flavor, it contains the purest, freshest honey you will ever taste. In fact, some people prefer the taste of honey straight from the comb. And for many years in the US, people wanted to buy a whole piece of honeycomb instead of liquid honey in jars. Why? This method of buying honey became popular because of unscrupulous businesses. Some beekeepers would “stretch” the honey harvest by adding corn syrup. The practice faded as rules and regulations were put into place for food sold to consumers. Sadly, the experience of buying honey by the full frame passed out of existence. Honeycomb is made from beeswax that is produced by worker honey bees. Wax is produced from glands on the bees abdomen. These soft scales of wax are molded into hexagon cells. The bees create sheets of these cells – making use of every possible inch of space inside the hive. This natural product becomes the structure of their home. Honey and pollen are stored for use during Winter or in times of need. Years ago almost every jar of honey sold had at least 1 piece of comb in the jar. Some beekeepers would even put 2 or 3 pieces of comb in there. Today, it is hard to imagine multiply pieces of honeycomb in a jar of honey . As modern honey harvesting has advanced, it is less common to find jars of “comb honey”. Beekeepers are able to harvest the honey without crushing the comb. This is a measure of economy because the comb can be re-used by the bees. Because the bees don’t have to work hard to produce as much wax, they make more honey. Beekeepers make more money from honey sales and sell their excess beeswax for other uses. 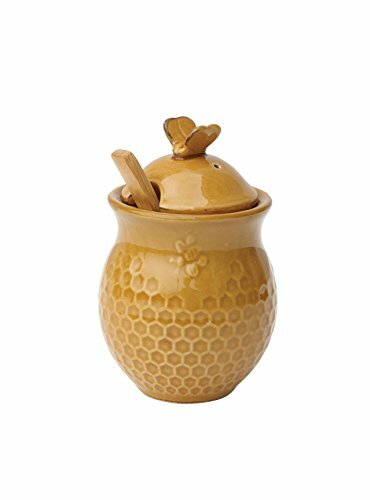 When you find jars of honey with comb, they are usually small jars. These are great for gifts or special occasions. But a far cry from the old time way of consuming honeycomb. Who Should Not Eat Honeycomb? Raw honeycomb is a sweet treat but it may not be edible for everyone. 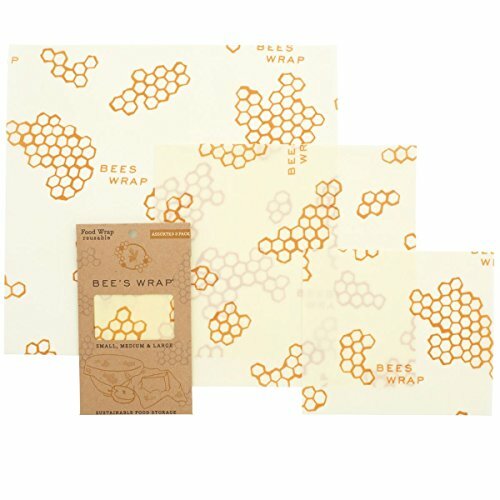 It is important to remember that beeswax (what honeycomb is made of) is a raw product. And, as with raw honey or any raw food product, infants under the age of 1 should not eat honey. Individuals with compromised immune systems should also forgo this treat. What Are You Eating When You Eat Honeycomb? When you enjoy a sweet piece of fresh honeycomb, you are eating more than just beeswax. 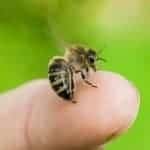 You are consuming honey, traces of pollen, propolis and other natural substances. Unfortunately, your honeycomb can be contaminated with environmental pollutants. This is true for any produced food item. We can not control where the bees fly and they will forage across the countryside. To ensure the best quality honeycomb, I encourage you to consume honey produced in the United States. We still have work to do on environmental issues, but some chemical standards do exist. 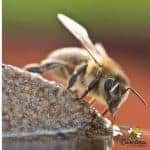 Is Honeycomb Healthy to Eat? Well, now we are getting into that grey area. The answer to this question depends on who you ask. I can tell you that eating fresh honeycomb is good for my soul! This is because it is an absolute delight. In fact, my Daddy always said that honeycomb was “the poor man’s chewing gum.” As a child, they would chew pieces of honeycomb. Once all of the honey was gone, they would swallow the wax. Most studies report beeswax alone to have very little nutritional value. But you will be getting the nutritional value of the honey, pollen etc. when you eat honeycomb. However, other researchers say that the long chain fatty acids, long chain alcohols (esters) can provide health benefits. And still more honey lovers swear that honey with comb (or without) helps with allergies. The jury is still out on this one. Eating honeycomb may be healthy, or not, but reasonable amounts wont hurt you either. How Much Honeycomb is Safe to Eat? Everything in moderation is a good guideline for those of you who love to eat honeycomb. We know that too much of anything is not usually good for you. It would be possible to “over-do-it” with comb consumption. Eating mass quantities of honeycomb over a short period of time can lead to gastrointestinal issues. Even though honeycomb is edible, you do not want to gorge on it. But, you would not normally consume enough honeycomb for that to be a major concern. Smaller amounts of honeycomb (as with any roughage) should pose no problem for most people. In addition to honeycomb in a jar, you may find “sections” of honeycomb for sale. These are sold in clear plastic containers – square or round. Honeycomb should be stored in a tightly sealed container or wrap. 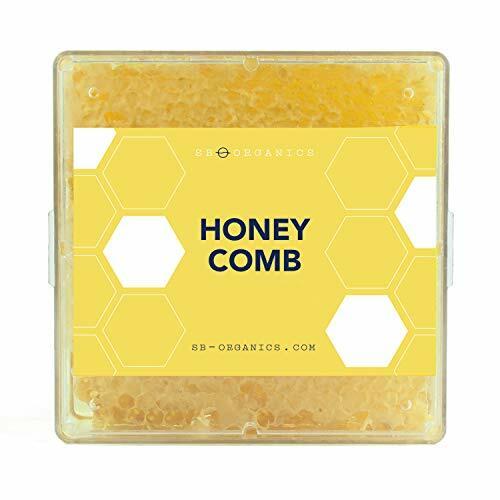 Moisture is the enemy of honey and the comb will absorb moisture from humid air. Do NOT put your honeycomb in the refrigerator. This is not necessary and will actually cause the comb to be sticky and brittle. In fact, the refrigerator is the worse place for honey. Just keep your honeycomb protected from moisture. Surprisingly, you can freeze honeycomb! If you have several pieces of honeycomb you can freeze them. Wrap tightly first to protect the comb from moisture. When you are ready to enjoy honeycomb, remove a piece from the freezer, thaw and enjoy. Please don’t put your honeycomb in the microwave – that’s criminal- or should be. 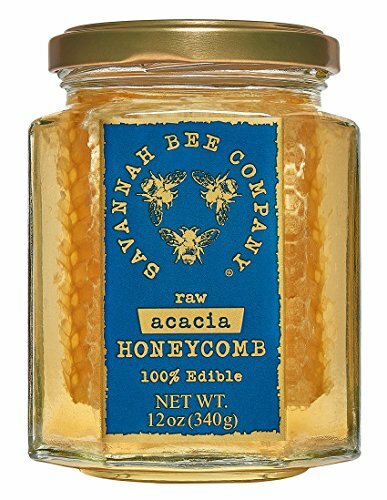 How to Find Honeycomb to Buy? Eating honeycomb has become more popular in recent years. The problem is that it is not easy to find. And when you do find honeycomb, be prepared to pay more. Honey with the comb or honeycomb sections cost more than liquid honey. The beekeeper who manages hives to produce more honeycomb will produce less liquid honey. This results in a higher price for honeycomb. If you are lucky enough to have a local beekeeper close by, perhaps you can buy a large section of honeycomb. Be prepared to pay a fair price – it wont be cheap. Perhaps you can have a beehive or your own? Biting into a fresh piece of raw honeycomb is a special experience. IF you have never tried it, I encourage you to find some as soon as possible. 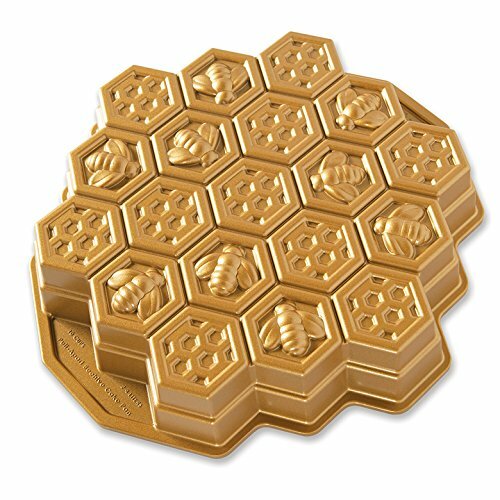 Actually We are Rather Obsessed with Honeycomb!